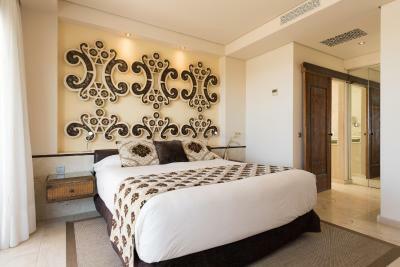 Lock in a great price for Alondra Villas y Suites – rated 9 by recent guests! Stunning villa and pool. It felt really high quality throughout and the staff were very helpful. The restaurant in the complex was very good. Food, drink and service we're all excellent. We stayed in April and had great weather. I would recommend paying for the pool to be heated at that time of year though. 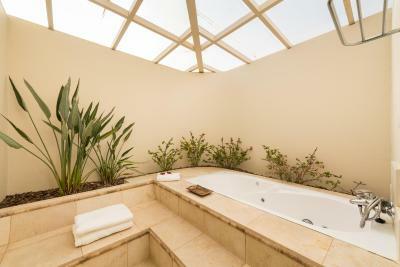 The villa was truly comfort away from home with a bonus of a private poool and sunny weather! 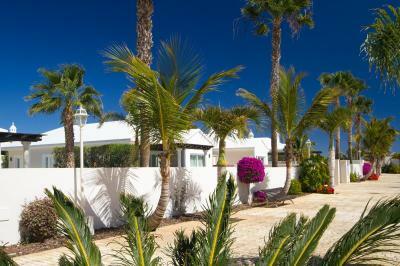 The location is good with the villa situated about 15 minute walk away from the Port of Puerto Del Carmen. 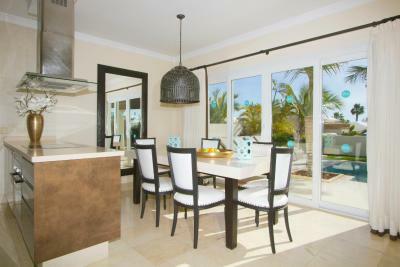 The villas are well laid out and clean with well maintained gardens and very private. The area feels safe and there are many very good restaurants. Would recommend hiring a car as there is lots to see and do the roads are good. Restaurant food for breakfast, lunch and dinner was delicious. The staff and service was first class. Our cottage was very very clean and comfortable. 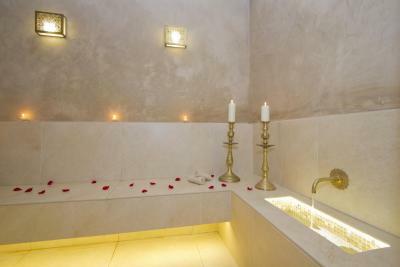 The location made you feel relaxed, safe and very comfortable. Very good breakfast. Very good suite facilities. Very nice garden. Perhaps include the heating of the swimming pool in the overall cost at this time of year. Staff excellent as always. We have stayed many times. The accomadation is in very peaceful location.. 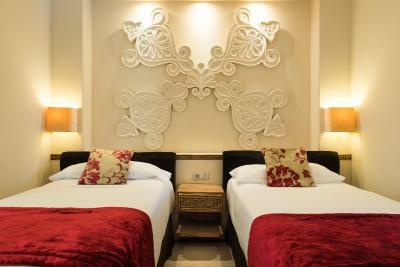 The bed in bungalow was very comfy but when we moved to villa it wasn’t as comfortable..The breakfast is till 11am..The breakfast selection is good & of a high standard..The villa’s are more secure than bungalows & you have pool to urself.. The bungalow was spacious, clean and quite tranquil. Daily cleaners weren't relaible for the first couple of days but you have everything you need to keep the place topped up anyway. We spent most evenings in as the facilities allowed us to cook well and the lounge area was very comfortable. 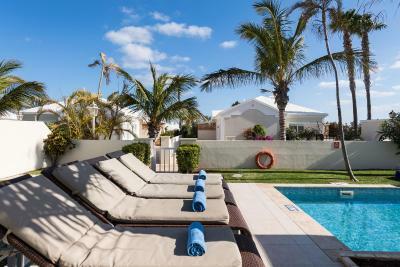 One of our top picks in Puerto del Carmen.Set in a large garden, Alondra Villas y Suites features private outdoor swimming pools and furnished sun terraces. 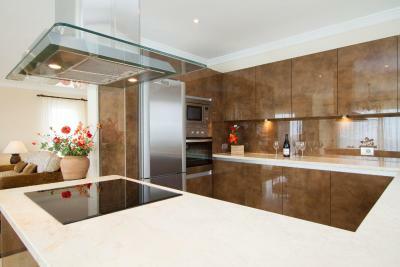 They also offer free Wi-Fi, parking and stylish kitchens with dishwashers. 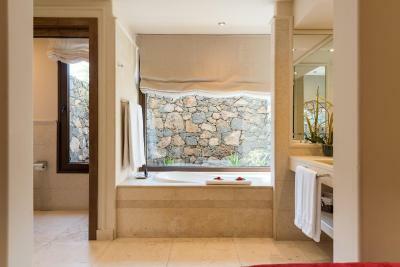 Each villa and suite at the Alondra has 2 or 3 marble bathrooms, with a whirlpool bath and shower. 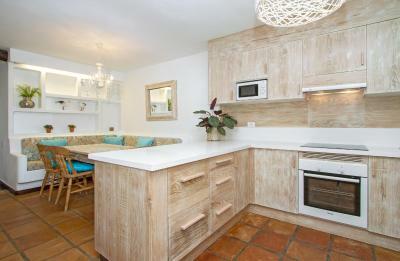 They each also include a fully equipped kitchen and a utility room with washing machine. 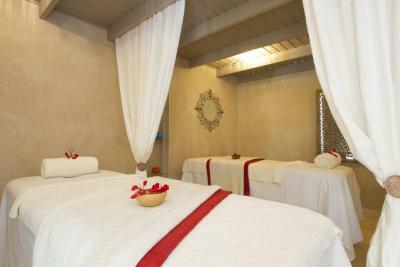 Alondra Villas y Suites´ spa and wellness center, Kalma, offers a range of massages and beauty treatments. 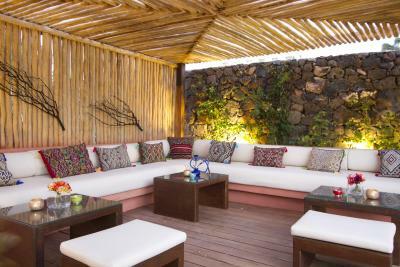 The villas and suites have a quiet location in Puerto del Carmen, in the south of Lanzarote. 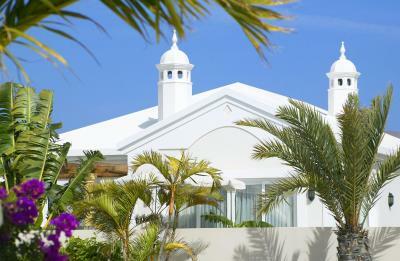 A 1640 ft² garden surrounds the villas and suites and the beach is within walking distance. 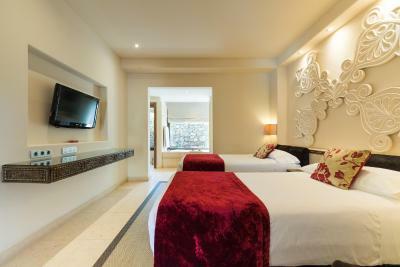 When would you like to stay at Alondra Villas y Suites? 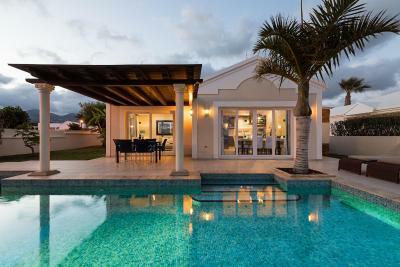 These elegant villas include a private swimming pool and terrace. There is a satellite TV with DVD player and a modern kitchen. 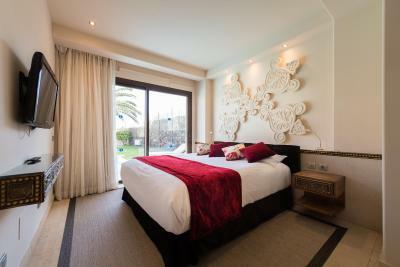 Spacious suites with private swimming pool and terrace. 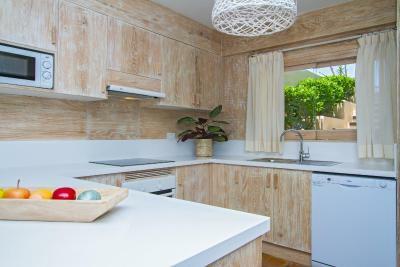 They include 3 bedrooms, 3 bathrooms, satellite TV with DVD player and a kitchen. 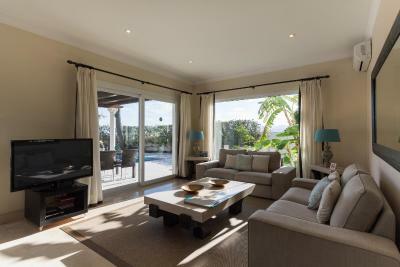 This stylish cottage with a shared swimming pool features 3 double bedrooms. It has satellite TV and a washing machine. 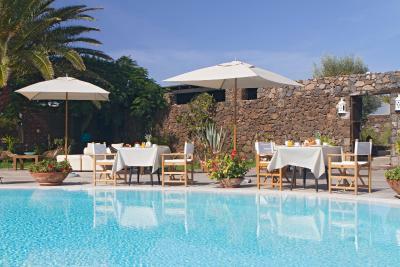 The swimming pool is shared with other cottages and is 165 ft away. 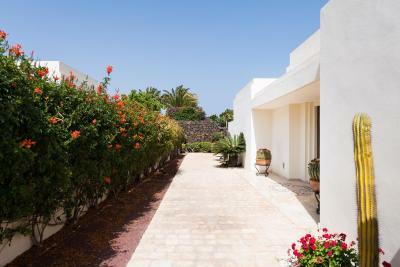 Please note this cottage is located 1.2 mi from the main Alondra Resort, which can be reached in 5 minutes by car.This stylish cottage with private swimming pool features 2 double bedrooms and a twin bedroom. 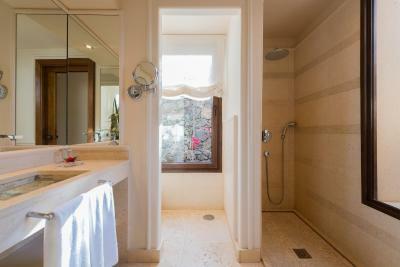 It is equipped with satellite TV and free Wi-Fi. 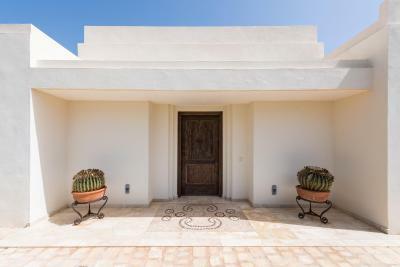 This villa offers sea views from its 2 terraces. 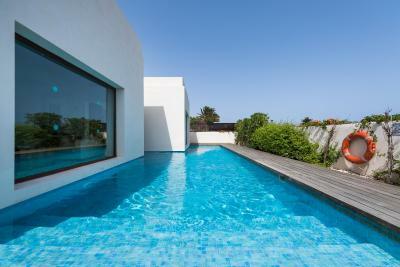 It has a private swimming pool, 2 double bedrooms and a twin bedroom with a terrace, which is set on the second floor. This 2-bedroom cottage has 1 bathroom and a seating area. Please note that this cottage doesn't have a private pool. 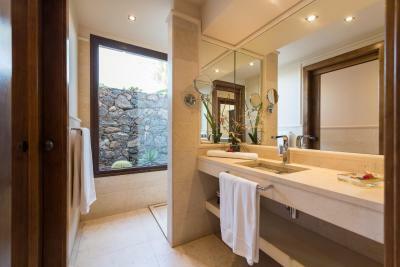 This villa has a microwave, washing machine and electric kettle. 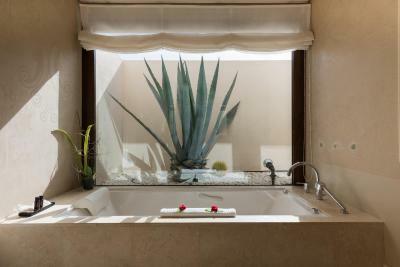 House Rules Alondra Villas y Suites takes special requests – add in the next step! 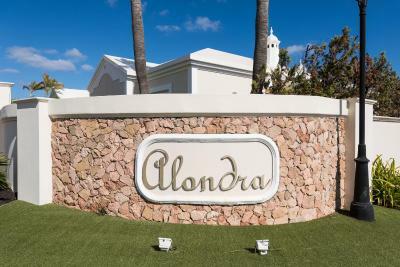 Alondra Villas y Suites accepts these cards and reserves the right to temporarily hold an amount prior to arrival. Cleaning is done 4 to 5 times a week. 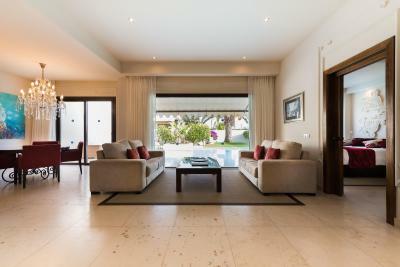 Please note the Three-Bedroom Cottage with Private Pool is located 1.2 mi from the main Alondra Resort, which can be reached in 5 minutes by car. 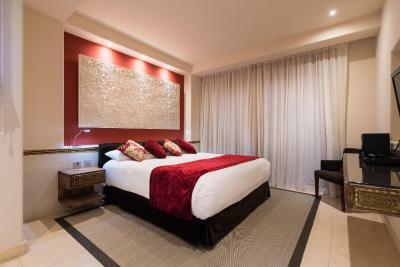 Please note, for reservations of more than 4 rooms, special conditions and a deposit will be applied. The town is on the way up but still has a little way to go. On the other hand it's fairly good value and the food shops are well priced. This was our fourth visit to Alondra, yet we were treated like it was the first. There was no reference to us being a good/repeat returning visitors . Also, the breakfast staff (2 Ladies) were not as friendly as previous visits. We always love our time at Alondra. Whilst the walk to the port is short it is very hilly on the way back so you may need to consider a taxi back. Nothing would have liked to stay longer. The location of the pool near the restaurant. We felt we could not use it whilst people were eating as it was very close to the outside tables. The spa was very expensive and the quality of our manicure/pedicure was mediocre. Wished all accommodations had private pools then this resort would be perfect. Lack of English speaking tv choice. BBC & ITV widely available in Puerto del Carmen - but not in the Alondras. 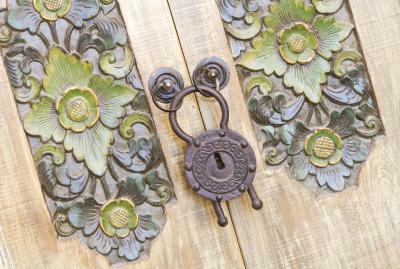 The first bungalow we stayed in had bicycle chain to lock main door.. There wasn’t full curtain on patio door.. some outdoor doors the locks weren’t all functioning..The hot breakfast was lukewarm..it is bit isolated for walking back late at night we had short walk from where taxi dropped us due to road restrictions.. There was very little shade in the garden & no dressing table and no oven in the apartment. The staff were not friendly at all, apart from the lady at the spa (which by the way was overpriced and really bad treatments). We also had to pay an extra €15 per day for heating the pool, which we thought was included. The English of everyone at the reception desk was shockingly poor. We won’t be coming back to Alondra Villas & Suites. For the money, there are much better alternative places to stay. The staff did exactly as you would expect if you were in a lesser starred, less expensive resort. Which is very little. No flexibility or going the extra mile. We stayed in a bungalow rather than a suite and were at times treated like we were at the bottom of the pile despite it still be a pretty expensive stay for what it was. There was certainly no extras or incentives to take you back in relation to the customer service. Such a simple thing, costs nothing. The pool could be a bit warmer. Very luxurious villa. 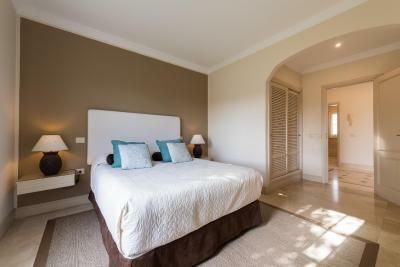 We had an upgrade from a villa with 2 bedrooms to one with 3. Very friendly employees. Fast and good services. Delicious breakfast. 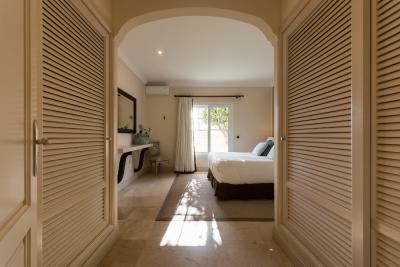 Quiet environment and just a fee minutes walking to the old harbour. 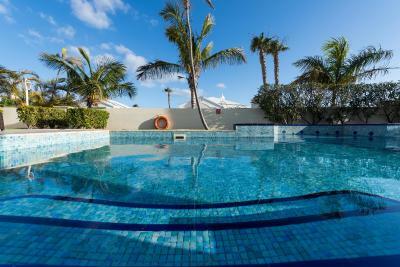 The pool was cold but bearable and refreshing.we were there in March and used it daily. Breakfast was great with something for everyone. Old harbour a 10 minute walk down the hill. Main strip about 25 minutes walk. Great place for a bike ride along the front all the way to arrecife on a flat bike track. 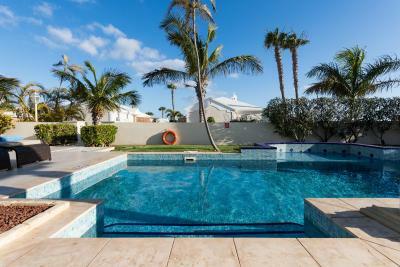 It wasn't clear at time of booking that not all villas have heated pools. We understood this was a paid upgrade, but thought it was a switch on/off job.. it wasnt clear that not all villas have it. 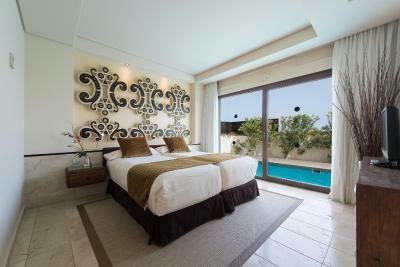 We therefore had to change villas twice in order to get any pool use at all by swapping to a heated pool villa for a few days. The Arena restaurant is lovely for evening meal, but the breakfast buffet is disappointing and not up to the standards of the overall complex. Sausages are hot dogs, bacon very fatty and overall selection of poor/cheap quality. The staff are very friendly and helpful. The tablet issued to each villa is highly convenient for communicating with the reception staff and for other information. 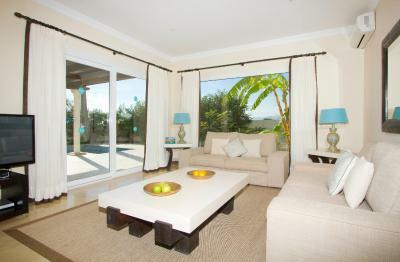 The villas are spacious and well maintained. There was nothing we could fault really, although we want to re-visit in October half term and the only deals available are with breakfast. This time we had a room only deal which is ideal for us as we like flexibility but having requested this in October we have been informed this is not possible. As much as we would like to return we are not prepared to pay for something we aren't going to have. Sorry. Alondra Villas was exactly what we needed. It was in a quiet location, but a short walk from the local amenities. Staff left you alone, but were there when you needed them. Everything was clean. Maid service was great. The pool was ideal for my little boy to gain his confidence and I would have no hesitation recommending them or returning.